These freshwater fish will seldom be found in clear streams. They are fish that prefer waters that are murky. They live in the muddy areas at the bottom of rivers. While it may sound disturbing, they provide an extremely tasty treat. Carp is the general name for the species, however, that can be further subdivided into Common Carp, Silver Carp, Bighead Carp and Crucian Carp to name a few. In order to be successful at catching Carp, they need to be attracted with something that pleases their pallet. Corn and home made dough balls are often used by fishermen in the USA, UK fishermen make use of a boiled milk protein and eggs concoction. While in South Africa the use of mielie bombs is prevalent. The feeding habits of Carp are influenced by the climate, wind direction and even the phases of the moon. 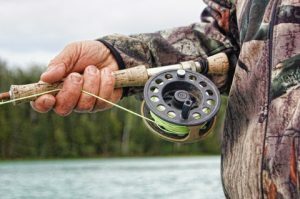 While you will require the basic rod, reel, line, hooks and sinkers, you also need to ensure that the bait is the right flavour to peak the interest of the fish. A carp rod can be picked up for a fairly reasonable price. It is best to go with free-spool model. An aluminium Carp pod is vital for bank fishing. Alarms and bobbins form an important part of your Carp fishing equipment, spending a little more will ensure they function rain or shine. Hooks, swivels and line are important in any kind of fishing and this is not the area to cut costs. Accumulative costs of equipment used in Carp fishing can become quite considerable and ensuring that it is properly stored will prolong the life thereof. Carp luggage includes anything from bags designed to carry rods and reels, to tackle boxes and bait boxes. Purchasing quality luggage will stand you in good stead going forward. Be ready to tackle any fishing expedition with gusto.